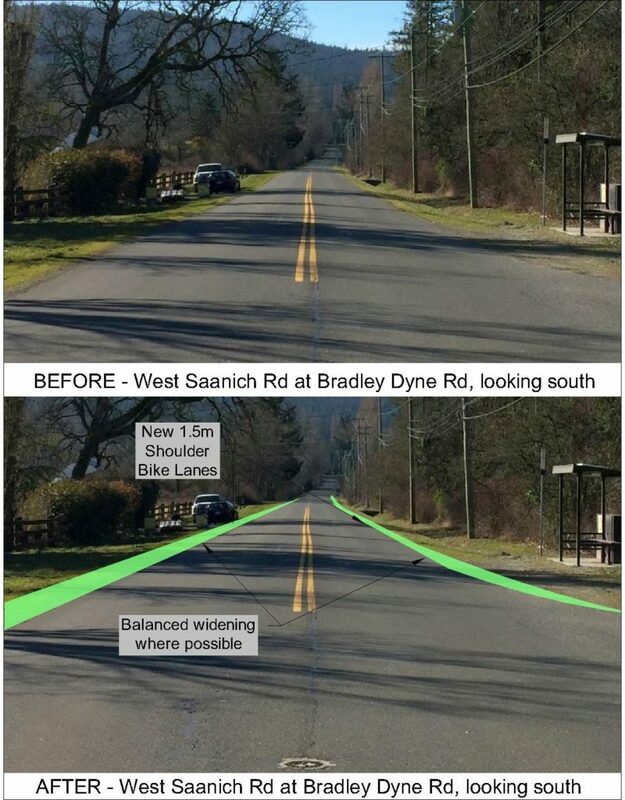 A road widening project for bike lanes will be undertaken in 2019 to provide shoulder bike lanes on West Saanich Road from McTavish Road northerly to Frizell Road, a distance of 1.7km. 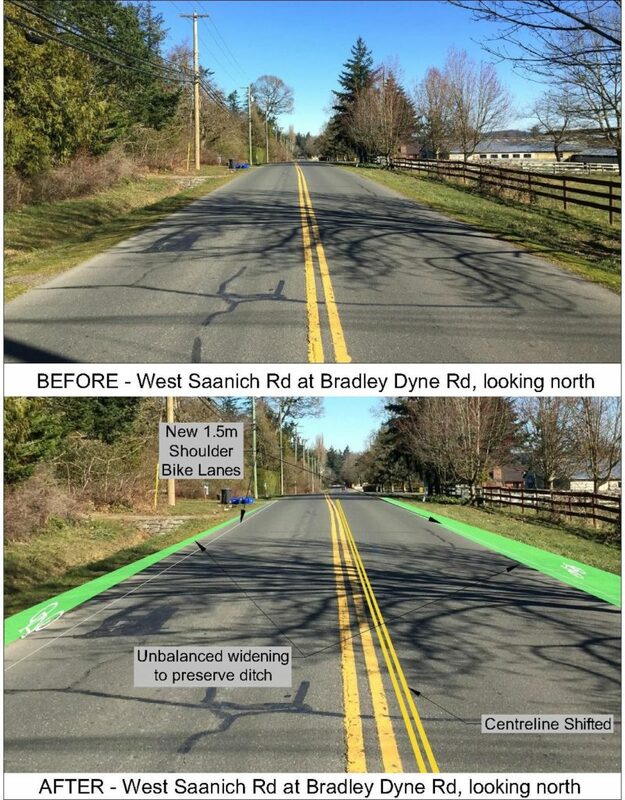 This will join with previously constructed bike lanes to provide a continuous cycling facility in both directions on West Saanich Road from McTavish Road to Wain Road. Design work and public consultation will occur in the Spring of 2019. Construction is projected to start in late summer of 2019 with completion by the end of the year. It is anticipated some roadside ditches will be filled in and replaced with piped drainage. Existing driveways and services will be incorporated into the design to maintain and enhance their operation. This project supports the District’s Transportation and Cycling Plan as described in the Official Community Plan (OCP), by providing safe facilities to promote active transportation. It is also a recommended enhancement in the CRD’s Regional Pedestrian and Cycling Masterplan. Through improvements to the cycling network, residents and visitors to the District can benefit from more options for healthy activity.